These days, breaking into mainstream comics is practically impossible. The market for comics is tiny and is shrinking every year. There are only so many titles being published to supply artists and writers with work. 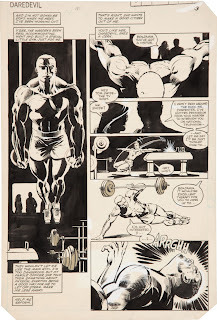 Because a few very popular artists got a lot of press and made vast sums of money in the early 1990’s, the number of people wanting to break into the comics business rose to incredible heights. Since then, a few independently published books have hit the Hollywood lottery, further muddying the waters. The idea that comics are a “rock star” profession that can create great fame and fortune in relatively short order still lingers, but this vision is far from the truth. In fact, very few people make a reasonable living in the comics industry. A quick count of the number of people lugging around portfolios or hawking short-run books at any major comics convention quickly highlights the rather skewed relationship between supply and demand in the industry. Most of these people will never work for any of the four major companies, Marvel, DC, Image and Dark Horse. No other companies are capable of paying a living wage to its writers and artists. There simply aren’t enough people out there buying comics to make it happen. Smaller companies with lower sales figures may sometimes make a go of it, but it’s done on the backs of their creative talent. Payment to their artists and writers is woefully inadequate as a living wage, unless you are an artist-machine who can turn out 4 or 5 exceptional pages of art a day. Sadly there are few of those. It’s even worse for writers. Comic samples can be assessed visually in mere moments, whereas an editor or publisher has to take the time to actually read writing samples. This is something the average editor really hates bothering with. That’s because it’s easier to simply hire someone who’s already a pro with a recognizable CV. Or, worse yet, some television or film writer who’s got a little free time to slum in comics between real jobs. It’s the skewed supply and demand that fosters laziness in the editorial class. Yes, I said laziness, and I stand by that. Thirty-five years ago, when I started collecting comics and first began to dream of working in the industry, things were different. 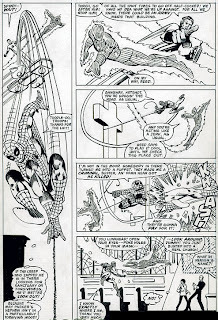 The number of people working professionally in comics was probably half what it is today, but the number of wannabees trying to break in was practically non-existent. At that time, at any given comic convention, you might see four or five guys showing around a portfolio. Today, someone looking over samples at a convention might have literally dozens of would be artists vying for a small number of portfolio review spots. I have seen stacks of sample books piled 60 deep on the tables of publisher kiosks. With so many to choose from, the editor begins to feel his power. Yes… POWER! Because there are so many clamoring for the few spots available in the industry editors can wait, patiently, blithely passing up some pretty talented people, until they see that one portfolio out of a thousand where the work is truly exceptional. It doesn’t help that the entertainment conglomerates that currently own the big comics companies, don’t give a damn about their editors, their creative employees, or even the comics themselves. Today’s editors really have almost no say in what they do, and much of what happens in the comics is cynically decided by committee in an attempt to create media buzz. And, many of the people working as editors also never worked as artists or writers. They graduate from business schools, become production assistants, then assistant editors and then editors. I’m not saying they’re all bad, but their appreciation for the jobs creative people do is limited. Back in the seventies, this wasn’t the case. The comic companies actually made their money from selling comics. The editor in chief was usually someone who started as a writer or artist and understood the craft. So were the other editors. 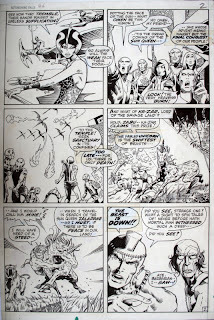 And, since there were fewer budding artists and writers to choose from, the editor would have to sometimes pick a candidate who merely showed some potential. Many of the great artists of that period started off a bit anemically, but were nurtured by their editors. They were encouraged, corrected, brought along. Here are a few examples from some of the guys who later became my favorite artists of the period. 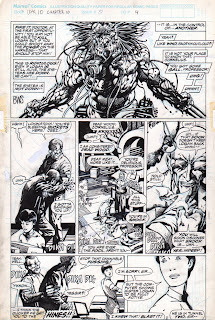 This early page by Barry Windsor Smith seems barely printable. The anatomy is very weak, and the storytelling is clunky and scattershot. But it has something, doesn’t it? A certain energy, and a nascent sense of design which promises better work to come? 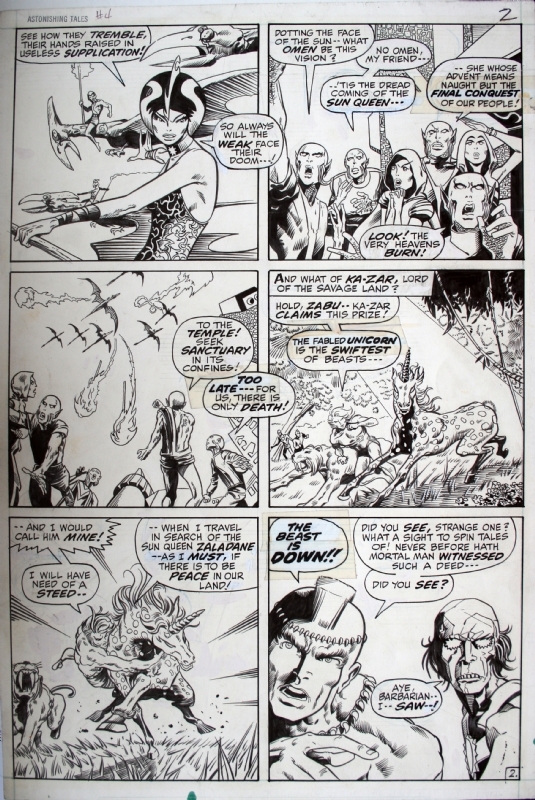 As seen in this later page, Barry’s energy and sense of design eventually emerged with a vengeance. 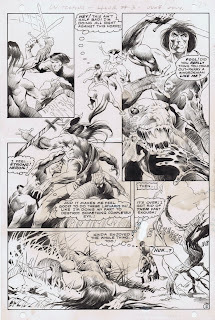 Bernie Wrightson’s early work was mediocre, offbeat and idiosyncratic. But it has a definite sense of mood and style, which would blossom magnificently as his drawing skills improved. 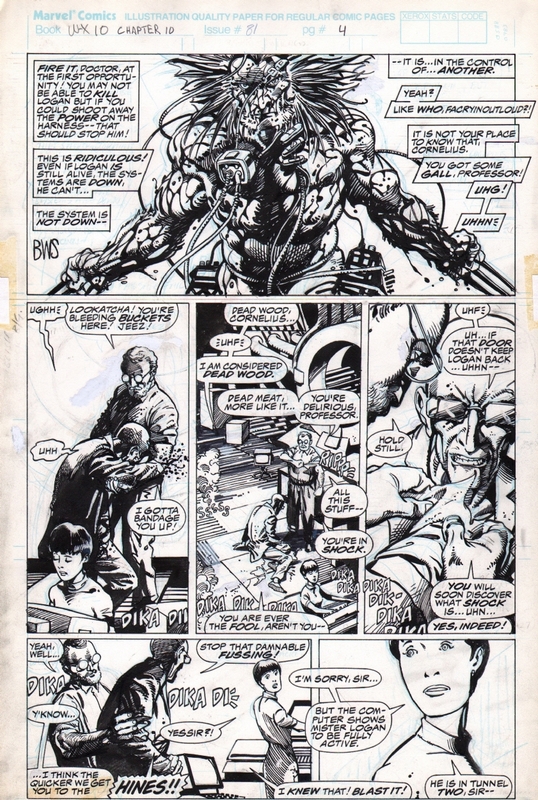 Compare this page with an exceptional page from Swamp Thing only a few years later. Hard to believe it’s the same guy. If they showed their early work to an editor today, I sincerely doubt either of these guys would secure work at the mainstream companies. In fact, they would probably get a very negative review. But, this begs the question: How many truly great talents are being overlooked because they don’t immediately dazzle? Developing your work on the job, with a paycheck, editorial guidance and constant drawing improves the work quickly. Developing your skills at night after a long day in a crappy job with minimal critical input and encouragement is slow, frustrating work. 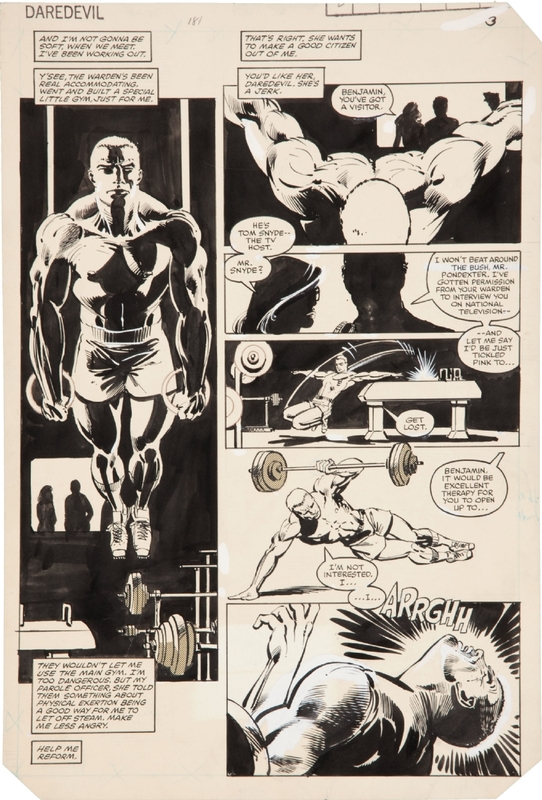 Look at the work of Frank Miller. 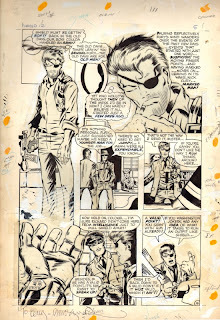 Whatever your opinion of his current work, it is impossible to escape the fact that, for more than a decade, Frank expanded and invigorated the comics medium in a way not seen since the 60’s. This sample of his early work is the very definition of pedestrian. Serviceable storytelling, decent anatomy, a workable sense of page design, but, well, pretty boring. 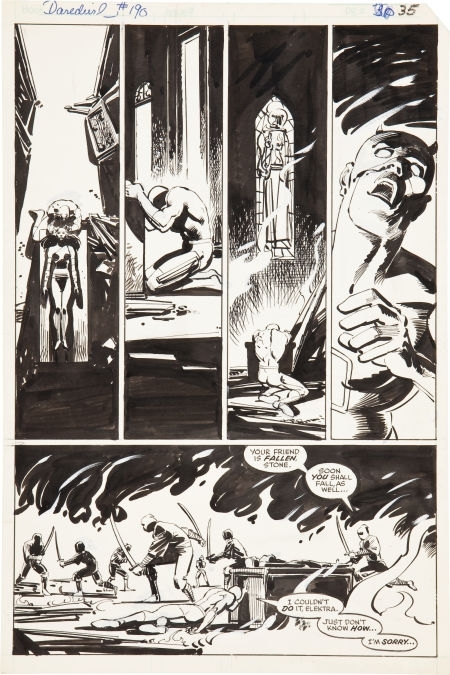 Based on this lackluster example, who could foresee the kind of graphic, dramatic pages Frank would be creating a few years later on Daredevil. And, would he ever have gained the opportunity to write as well as draw? 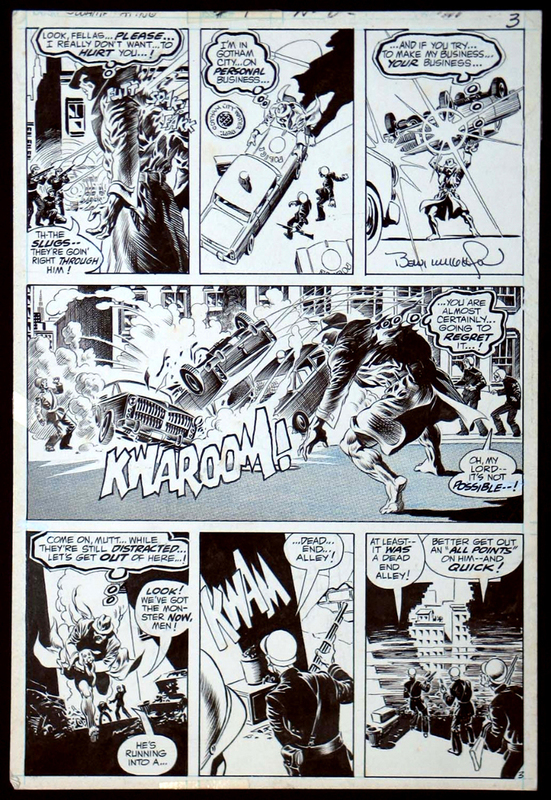 I suspect that a Frank Miller attempting to break into comics today would be rebuffed with extreme prejudice. He’d either end up working in the movie business or selling insurance somewhere. For artists today, there seems to be only two routes for breaking into the business. You either have to be a truly exceptional draughtsman or you have to have a friend or relative in the business. I’m certainly not suggesting the exceptional don’t deserve to work, but I sometimes think that the stuff these guys do, while amazing in it’s own way, is a little cold. To capture the attention of the editorial class their work must be honed to perfection in a manner that can foster a certain sterility. They are, unquestionably, very talented artists. But their work is heavily photo referenced, the rendering is diabolically tight and often full of unnecessary detail, and each page, even in the quiet moments, is an epic production. To me at least, this work comes off as detached, and often poorly paced. It lacks the human quality. I believe it’s because they had to etch and silver-plate their pages just to get noticed. I fear that those with the potential to balance ability with verve, and perhaps stretch the boundaries of the form may be passed over rather than embraced and developed. There are still some warmer talents out there, to be sure. 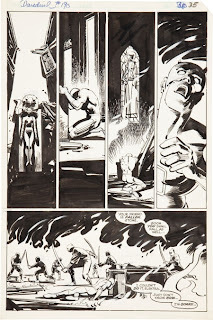 Steve Epting, has an uncanny sense of storytelling, action and graphic design. 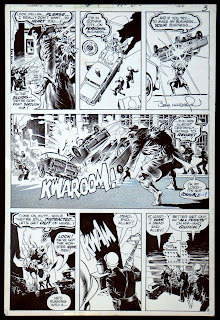 Mike Deodato manages to achieve both intriguing continuity and a sizzling dynamism in his work. 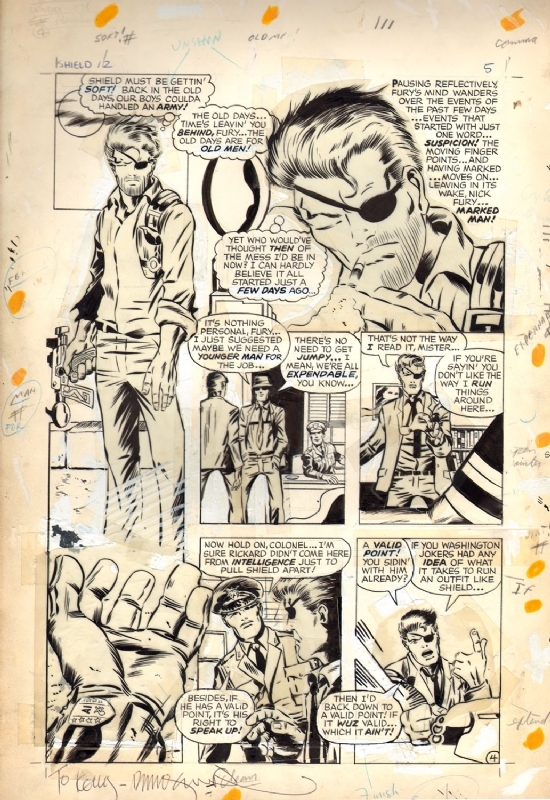 Butch Guice has quite successfully married old-school techniques with the modern sensibility. These are the guys who are pushing the envelope. But still, even they had to knock someone’s socks off to get the gig. So, I urge the editors, look more carefully. Consider the potential under the inexperience. Take a chance, take someone under your wing, bring someone along. Never know, they might just be the next Frank Miller. 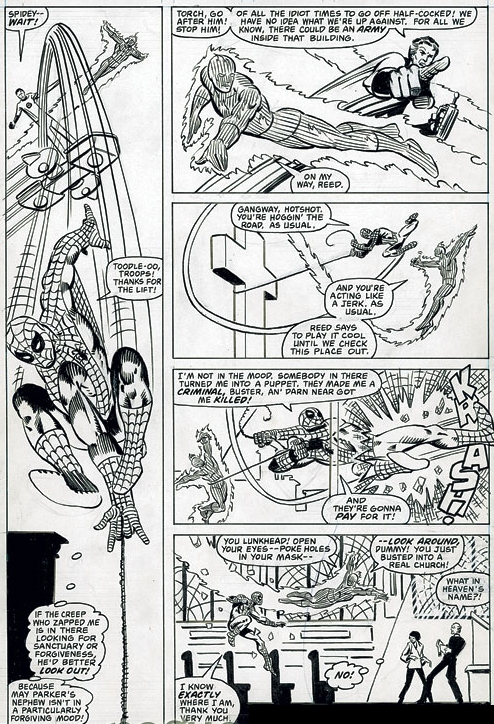 Both parts of "The Comics" articles are very well thought out & presented. Well said, Sam! I agree with pretty-much everything you stated. Which is sad, because that means the future for Comic-Books, looks rather bleak! For myself, I'm convinced that the best option for serious fans of the medium, is to pursue longer format stories, and target booksellers beyond the current Direct shops.. What say you? I think that's one way to go that might offer some good results. But, while there are graphic novels now available in bookstores, the booksellers aren't exactly clamoring for the medium. And even bookstores, especially the smaller ones, are experiencing a shrinking market at the moment. Sam is a writer, illustrator, teacher and performer who lives in Toronto with his awesome, marathon-running wife Beth and our insane kitty, Little V.